This cool fanart of Red comes to us by way of diredude, who you may know from his Casual DoTA series. 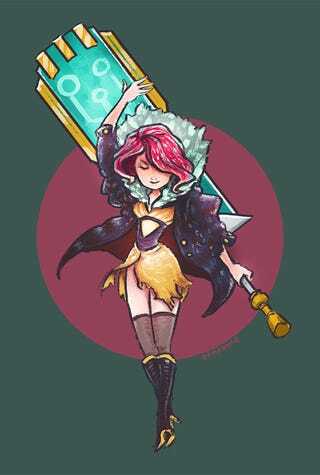 Seeing as how there are quite a number of Transistor fans here, I saw it fit to share! Head on over to his Tumblr to see more of his work!